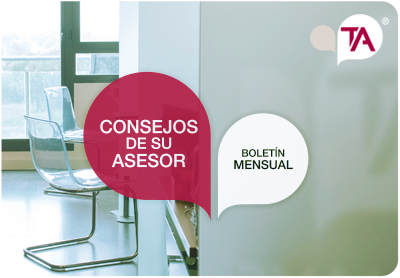 TRYALCO ASESORES SL is a company founded in 1.982 and dedicated to provide consulting, management and representation services to companies and entrepreneurs. has its headquarters in Madrid but provides services in all the spanish territory as well as abroad. The company is formed by Lawyers, Fiscal and Labour advisors and accountancy technicians with more than 30 years of experience in the sector. Tryalco is currently combining the profesional skills and the experience of its founder associates and a highly qualified team with a strong commitment to provide the best service and adaptation to new technologies. Our goal is to offer an integral, customized and efficient service wich provides the client the necessary understanding of what we do and creates a mutual confidence enviroment. The consulting services mean an accompaniment in the scheduling of your business activity based in your trading strategy, the counselling in the creation of your business according to your forecast, requirements and obligations. At the same time and once the business activity is started, our professionals will help in all those instances with a fiscal, accountancy, trade, labour or trainning implication and will solve all the questions that might arise during your business activity. Management services provide the working out and processing of your fiscal, accountancy, labour, trading and trainning liabilities.